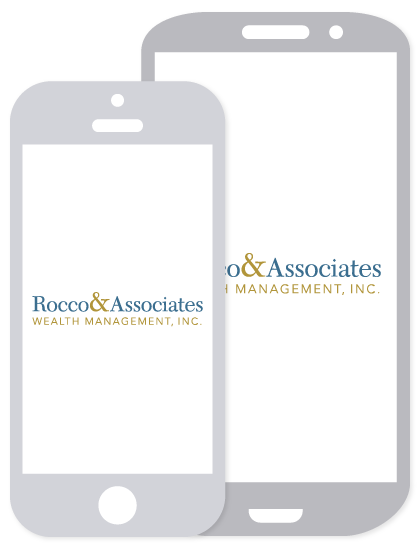 Around the Office - January 2015 | Rocco & Associates Wealth Management, Inc. Effective as of February 1, 2015, please help us in congratulating both Charlie and Eric as they take on new roles with increased responsibilities. Charlie will be assuming the role of President and COO and Eric, Vice President of Business Development. Joe will fill the newly created role of CEO and will assist in guiding the firm’s strategic mission, but will be stepping down from the day-to-day management to focus on working with clients. These changes will help the firm continue to grow while signaling the beginning of a long-term succession plan that will see the company pass from one generation to the next. Over the last year Rocco & Associates took steps and instituted new processes to remove the use of excess paper. As we enter into 2015 and look back, we can proudly say that out paperless initiative is a success. In a continued effort to create a more sustainable workplace and provide the highest level of service to our clients, we are excited to announce that all of our client communications will be going paperless in 2015! This will include the Financial Strategy Review, Client Satisfaction Survey, Portfolio Manager Reports, Event Invitations and various other client updates. At Rocco & Associates we see the volatility in January continuing through the first half of the year, but we see the volatility staying within the same 2,000 point band it has been fluctuating between. Also, we believe that there are investment strategies, namely dollar cost averaging, that can be leveraged to take advantage of the unpredictability and increase share count. Dollar cost averaging is the process of investing over a set period of time, with the same investment amount being purchased at each interval. Ultimately we believe the market is strong and this period of volatility will only delay the slow growth many are predicting over the next few years. The economic forecasts set forth on this website may not develop as predicted and there can be no guarantee that strategies promoted will be successful. Investing involves risk including potential loss of principal.